When Chuck and I moved back to his home state of Ohio from our urban abode in Pittsburgh, we made a conscious decision to move back to his hometown within about a mile radius of his family. We wanted to become more involved in the community that brought us together, Chuck wanted the opportunity to resume playing music with his older brothers and we wanted to be close enough to watch our niece and nephews grow older. Making that decision was not with consequence, however. My current work commute is about an hour, where Chuck's is closer to an hour and 15 minutes, depending on weather and traffic. I was making a similar commute in Pennsylvania and to be honest, it really doesn't bother me. But it does leave both of us with a lot of down time. Someone made the suggestion to me that I should start listening to audiobooks during my 60-minute road trips and a couple months ago, I took the plunge! And the verdict is- audiobooks for the win! It helps that my sister-in-law is a librarian, and the state of Ohio has a pretty stellar library system. But I digress. 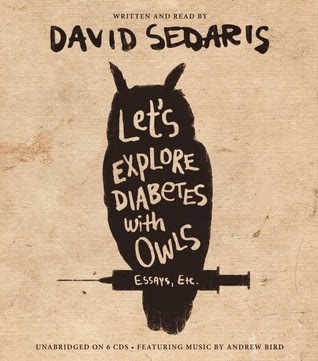 This was my first of David Sedaris' work and I understand now why he has such a following. He's a little bit eccentric, a lotta bit of a wiseass and has some great stories to tell. His snarky reflections on his life adventures are a great, light-hearted listen. Granted, I'm only about halfway through this one. But this memoir about an atheist's challenge to follow the Bible as literally as possible is awesome. 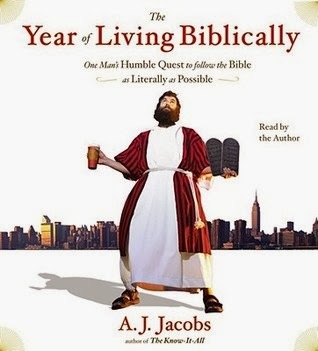 It's the perfect combination of funny anecdotes about weird Biblical laws, and enough serious commentary on modern-day Judaism and Christianity to keep the reader hooked. Secular and religious folk alike stand to gain a lot from this one. This was such a toss up because I loved my first and second place books so much. Alas, I had to choose just one so I'm going with Is Everyone Hanging Out Without Me? (And Other Concerns) by Mindy Kaling. You probably recognize Mindy from her work on The Office. But nothing will prepare you to fall head over heels in love with this woman. She is humble, hilarious, and someone you'd want to know in real life. Listening to her audiobook was like chatting with a BFF sitting right next to you in the passenger seat. 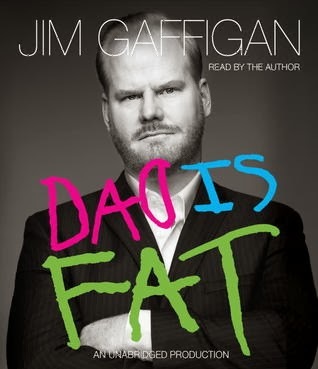 Jim Gaffigan takes the cake. His reflections on life with five children had me literally laughing out loud in my car. But funny jokes aside, this is a genuinely likeable guy who clearly adores his wife and children. I sincerely hope "the Hot Pockets guy" has another book in the works, because he is a comic genius. Are you an audiobook "reader"? What have been your favorites? OOH I will have to check these out! ohh looks interesting (: i'll love to check it out! audible books sound great, especially for long drives. 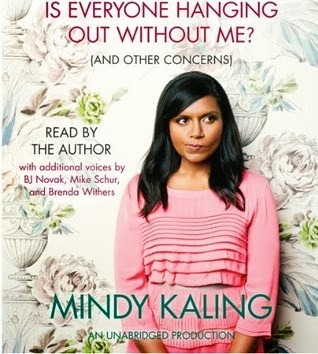 and i loved the mindy kaling book!